22.92mm x 14.55mm / 0.902in. x 0.573in. Field Museum Charm. 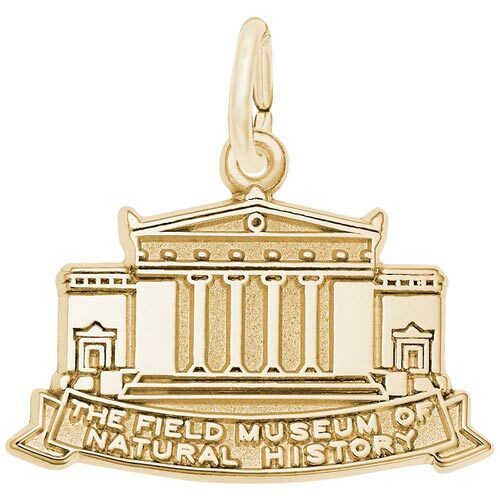 The charm has "THE FIELD MUSEUM of NATURAL HISTORY" raised on the front, and the back can be engraved.